A native of the Isle of Kirk (Croatia) where he was born on January 11, 1925, Araldo Cossutta passed away on February 24, 2017, in New York. Following initial studies in architecture in Belgrade, “Aldo” made his way to Paris and enrolled at the Ecole des Beaux-Arts, graduating in 1951. In the United States, while studying at Harvard, he got to know Le Corbusier, in whose atelier he worked. Associated with the Brutalist movement, Aldo brought his own touch to this architectural language. An associate of I.M. Pei, he opened his own firm, Cossutta & Associates, in 1973. Aldo was a member of the Richard Morris Hunt Prize Jury from the very beginning. In France, Aldo designed what was the tallest skyscraper for its time, the Crédit Lyonnais headquarters in Lyon (1971), commonly known as the Crayon – or “pencil”. 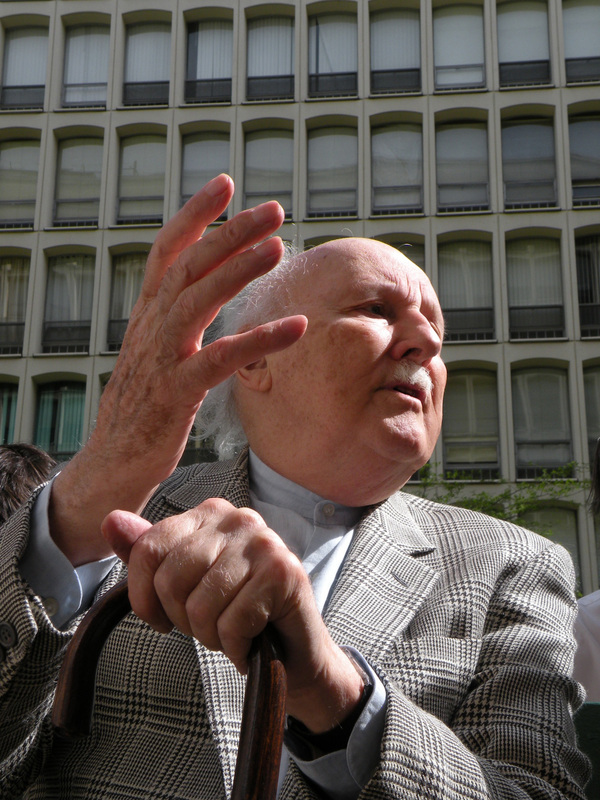 In America, Aldo is one of the rare architects to have seen his work receive heritage recognition during his lifetime. 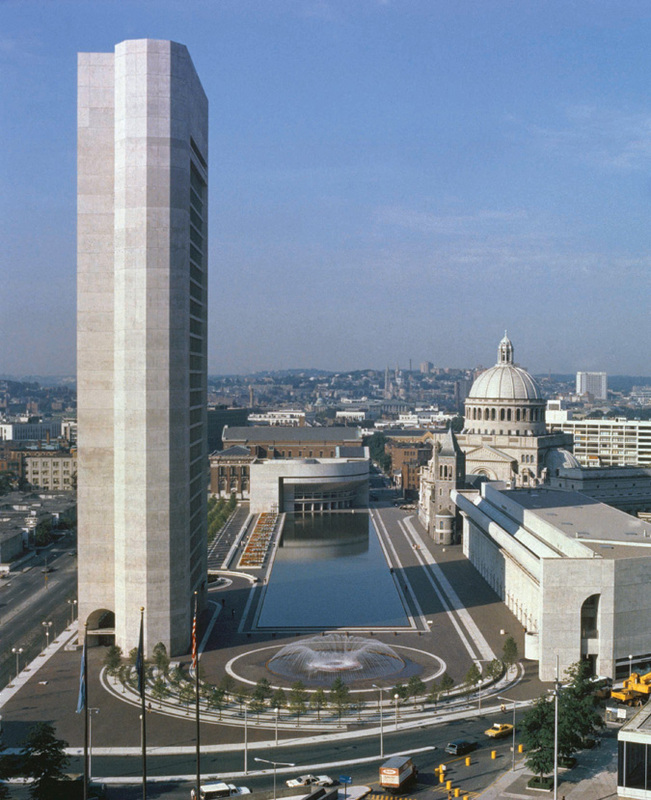 Such is the case of the Christian Science Center in Boston as well as Chicago’s University Gardens Apartments. In 1994, Aldo founded an annual prize for talented and promising young architects from the Harvard Graduate School of Design. Always in search of excellence, he also accompanied the Richard Morris Hunt Prize from its earliest days, and each year sat on its Jury. Diego Rodriguez, RMHP Fellow 2008, remembers Alan, who “was always one step ahead, there was never anything commonplace in his discussions – another mark of intelligence – and he remained remarkably endearing with everyone. […] As a member of the Richard Morris Hunt Fellowship, Aldo communicated his spirit of inventiveness and his wise counsel, pulling us up higher”. Alan Schwartzman, FAIA, founder of AIA Europe, was a close friend. He recalls Aldo’s force of character, how he left for France to fight in the Resistance. Schwarzman underscore this profound love Aldo had for France. Aldo Cossutta was a member of the Board of Directors of French Heritage Society. A recognized figure of exceptional worth, he was inducted into France’s Legion d’Honneur and was chosed as a member of the Académie d’Architecture in Paris.